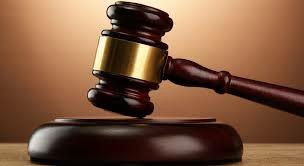 A BULAWAYO tout who was employed as a herd boy in Plumtree by an Injiva, has told a court that he stole his employer’s property worth more than $600 to cater for his expecting girlfriend. Enock Tshuma (27) of 3331 Nkulumane 5 suburb was convicted on his own plea of guilty to theft when he appeared before Plumtree magistrate Mr Joshua Mawere. He was sentenced to 12 months in prison of which six months were conditionally suspended for five years. Two months were also suspended on condition that he restitutes the complainant on or before January 27. In mitigation, Tshuma said he stole the property to raise money to take care of his pregnant girlfriend, whom he was now cohabiting with in Plumtree town’s Mathendele suburb. “I was a tout in Bulawayo getting about $5 a day. I had been recently employed by the complainant to be his herd boy at his homestead in Thekwane area. I stole the property so that I raise money to take care of my pregnant girlfriend,” said Tshuma. The complainant, Mr Gideon Moyo who is based in South Africa, said he was advised by his neighbours about the theft. “I left Enock Tshuma at my home in October and on a date I can’t remember I was phoned by neighbours who said my property could have been stolen since they had seen a taxi leaving my home. I advised them to report to the police. On 24 December I arrived home and found Tshuma not there and was later advised that he had been arrested in Plumtree town,” said Mr Moyo. Prosecutor, Mrs Rose Sibanda said on an unknown date, Tshuma stole 30 iron roof sheets, a solar panel and its battery.